One-day takeover took place across 33 Tube stations. 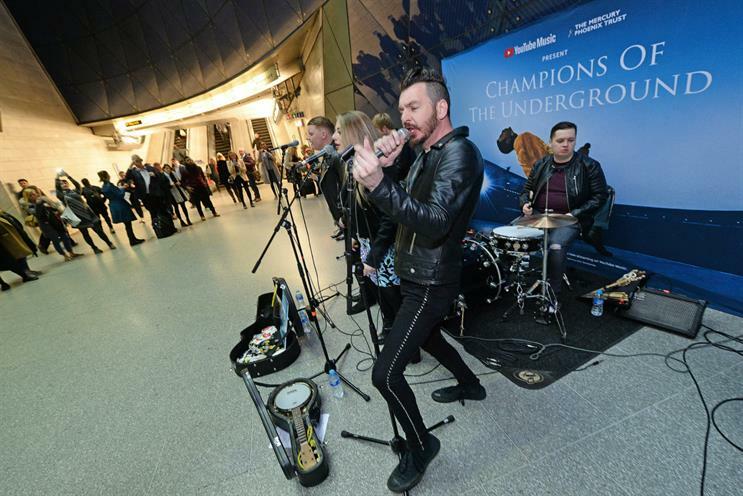 Music-streaming service YouTube Music partnered Transport for London and Mercury Phoenix Trust, a charity organisation fighting Aids worldwide, for the "Champions of the Underground" activation. It took place yesterday (24 October) at 33 Tube stations including Southwark, Victoria, South Kensington, King's Cross and Green Park. Highlights from the multi-artist sessions – involving musicians and tribute bands – were uploaded to the Queen YouTube channel. The experience was devised by Amplify. The film Bohemian Rhapsody, which charts the history of Queen and its lead singer Freddie Mercury, opened at cinemas this month.